Hello everyone. Sorry, I started my blog and then I got sick…bummer 🙁 . When I get sick I don’t feel well for a few weeks and I do as little as possible, so I am sorry. 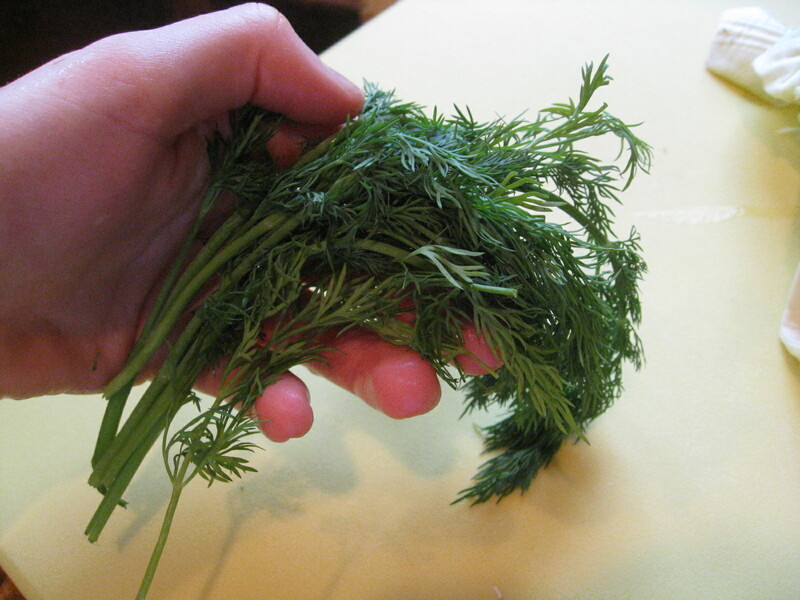 My secret kick-the-cold supplement is this bad boy along with a nice sized dish of these veggies! Yum. Though now that I am feeling somewhat better I want to continue with posts about my GAPS journey. I do want to get my personal story about how I started GAPS sometime soon, but for now I want to share all my fermented vegetable creations! Some of then are pretty neat and I have a few tricks that I want to share with you, so your krauts turn out to be a success! For now I will stick to my go-to recipe, and you can switch it up how you like. It’s amazing how good fermented veggies are for you and making them at home is a lot less expensive (especially if you are eating them every day). If I can’t make my fermented veggies and run out for some reason here is a list of the store bought ones I like. 2.) I follow the culture starter directions. I cup of 90 degree filtered water. 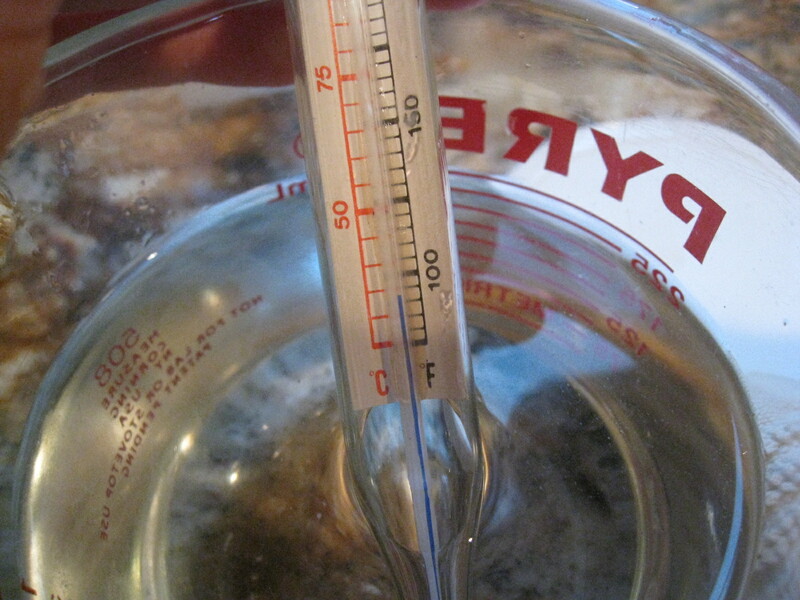 I find that it helps to use a candy thermometer to be exact. 3.) 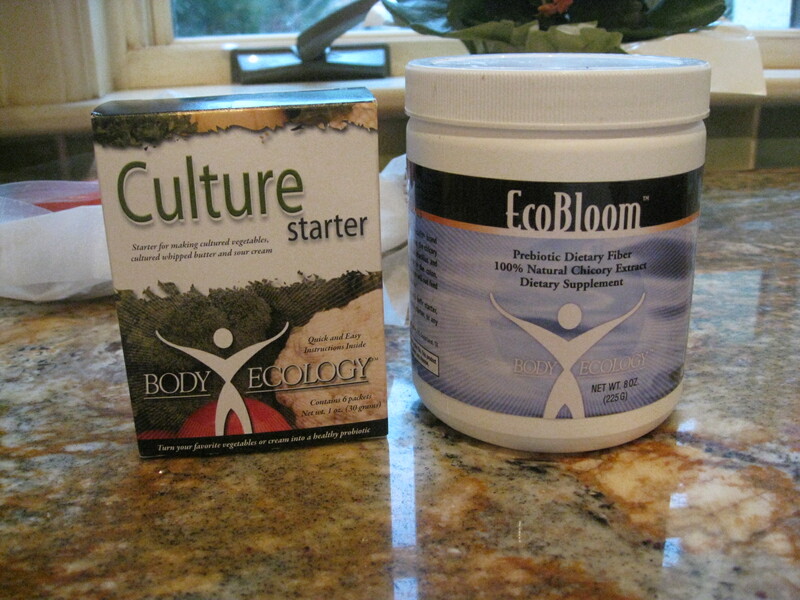 I put in 1 scoop of the Ecobloom. 4.) 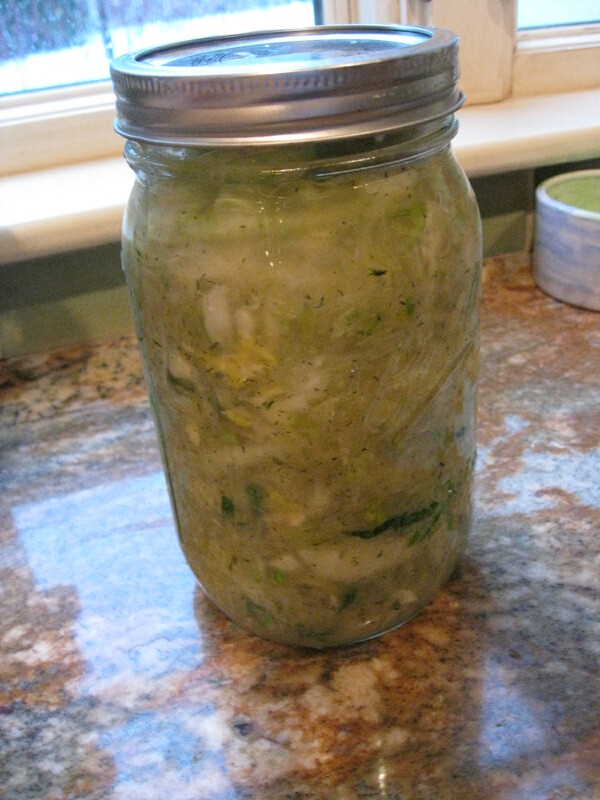 I use 1 packet of the culture starter for many jars of kraut. I like to get as much use out of 1 packet so i sometimes use this starter water for 12 jars of kraut. Or after the veggies have been fermented i will take a spoonful or too and add it as a starter to the next batch. Just like you would with a yogurt starter. 5.) This is my new trick to get the jars from molding. I first put them in the dishwasher and let dry completely. Then i swish a little ACV in them to kill all the extra bad bacteria sitting around. It has worked for me so far. 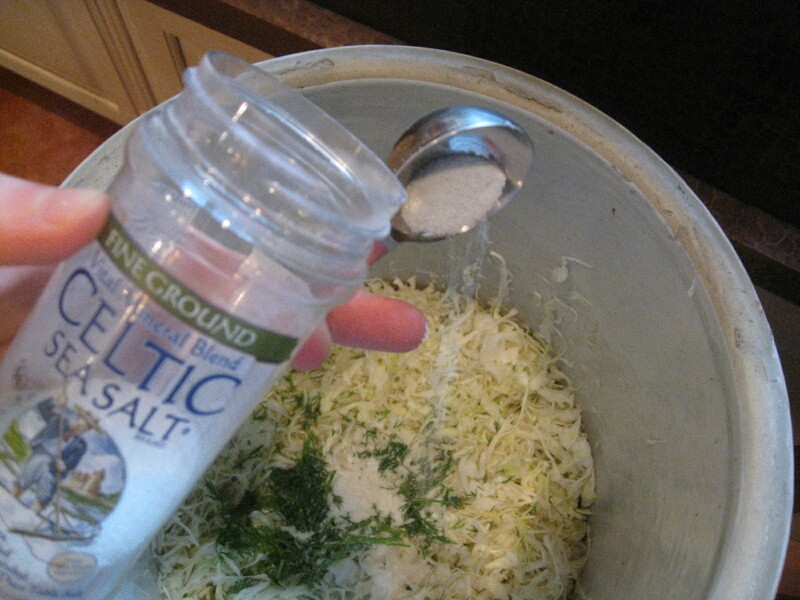 I also notice that when you add seeds, ginger, or garlic, onion (natures disinfectants) the jars don’t develop mold like the kraut with just salt. 7.) 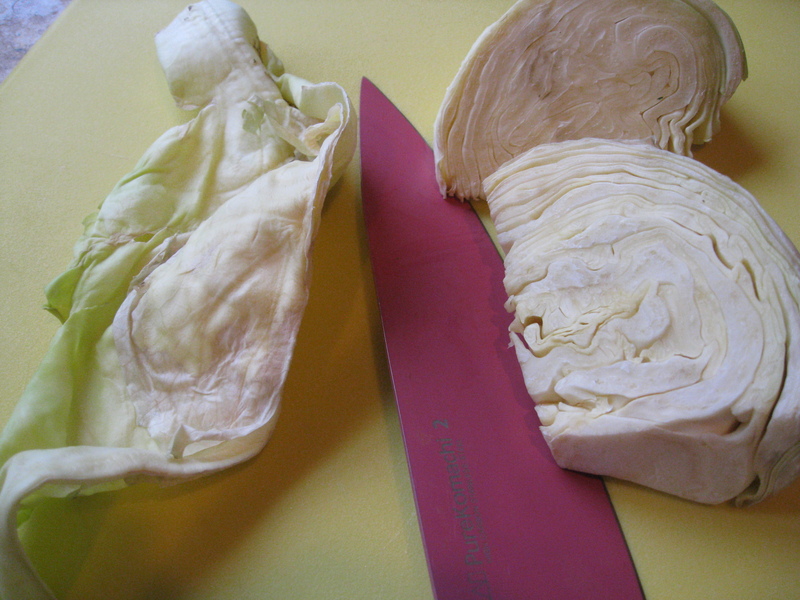 Chop cabbage into chunks to fit into the Cuisinart, or cut thin with your knife to get shreds. 8.) 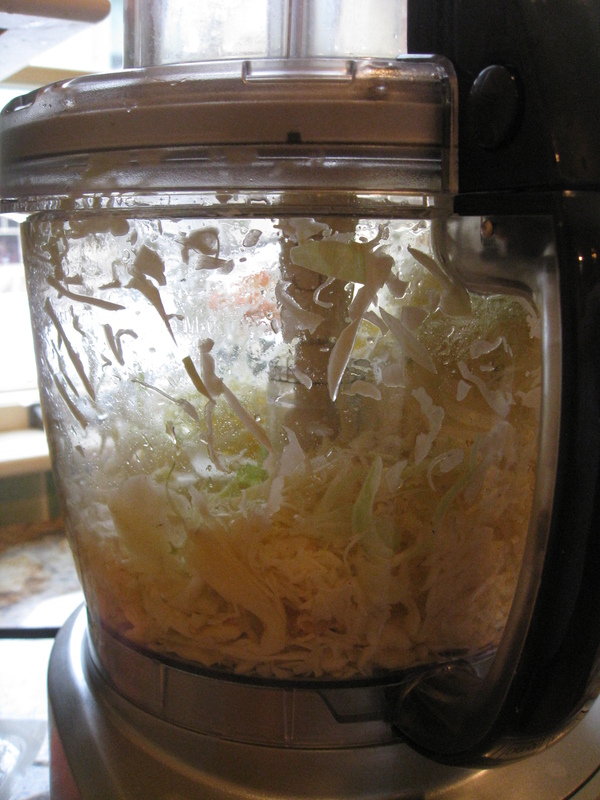 When i put my chunks into the Cuisinart I try to put them in a way so they will shred out to be think long pieces. 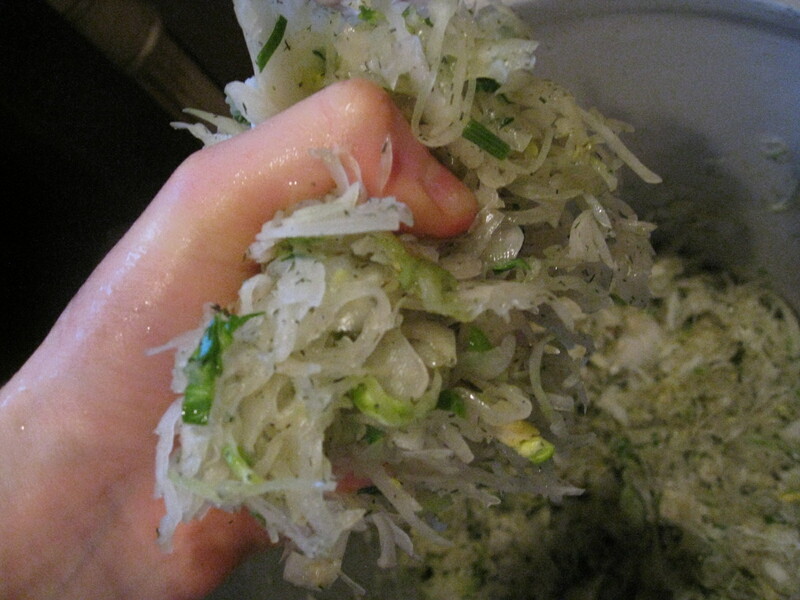 I peel away the big chunks I cut and roll then up and stick them into the shredder. I use the thinnest shredding setting (1) on the Cuisinart blade. 9.) Shred away! I usually have to do a few emptying outs when I do a few heads of cabbage. 10.) 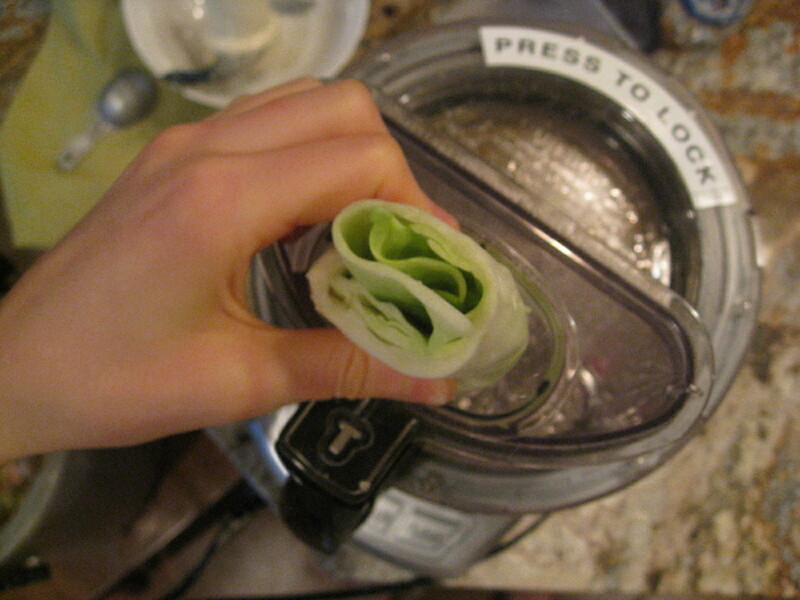 The Cuisinart is very handy for making a lot of fermented veggies. It already takes a long time to shop for the veggies, wash then, and then cut them..using a Cuisinart or mandolin really helps cut down the time..and you get thinner shreds. 11.) 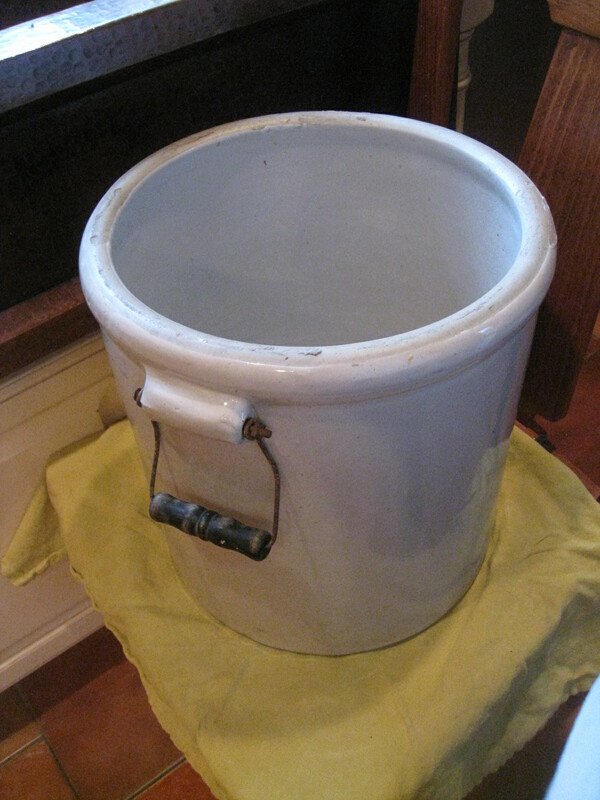 Here is my 5 lb crock. 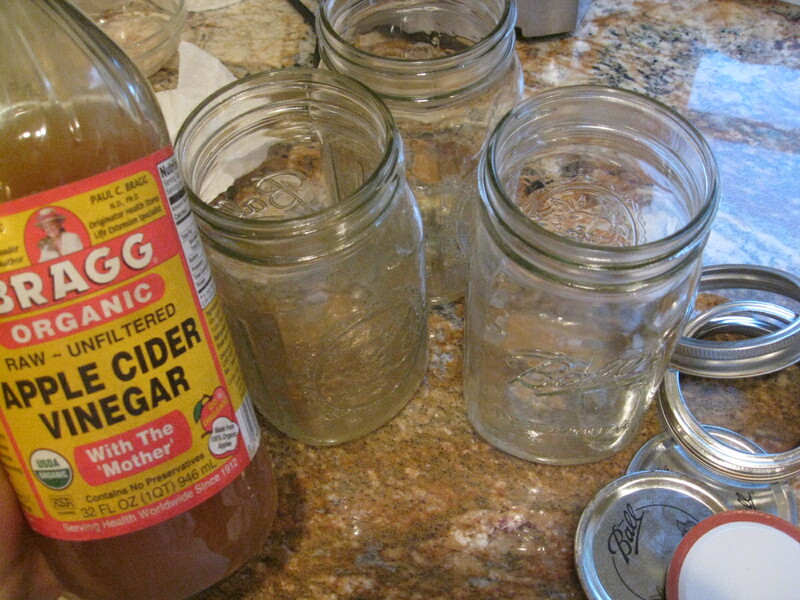 I go back and forth fermenting in the crock or in jars. 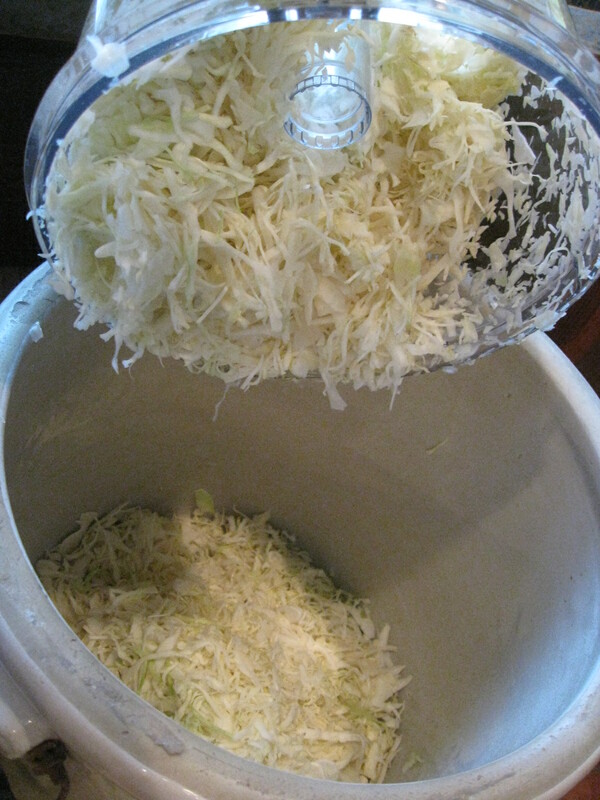 right now I prefer the taste of the jarred kraut, but I just need to learn how to ferment properly in my crock. any suggestions? I still use it as place to dump all my cabbage in though. 12.) 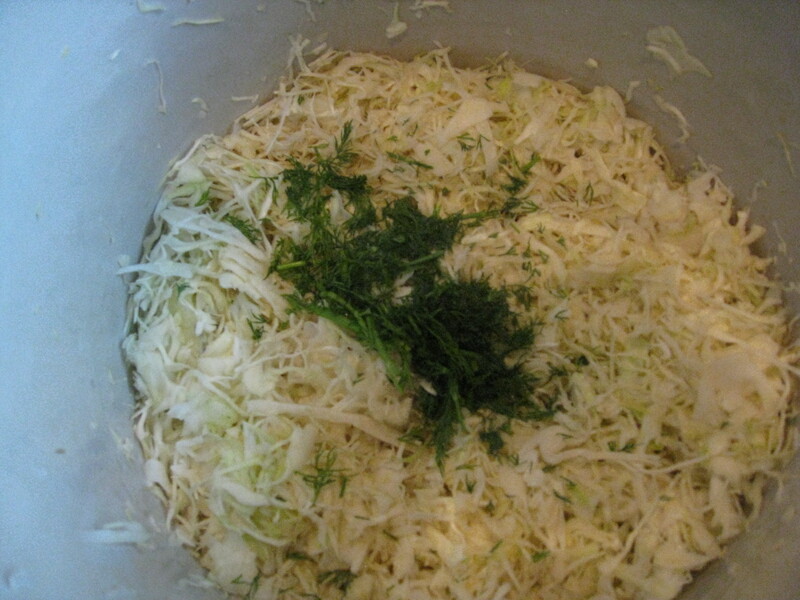 Dump all the cabbage in to a big bowl or crock. 14.) Dump into the crock. 15.) 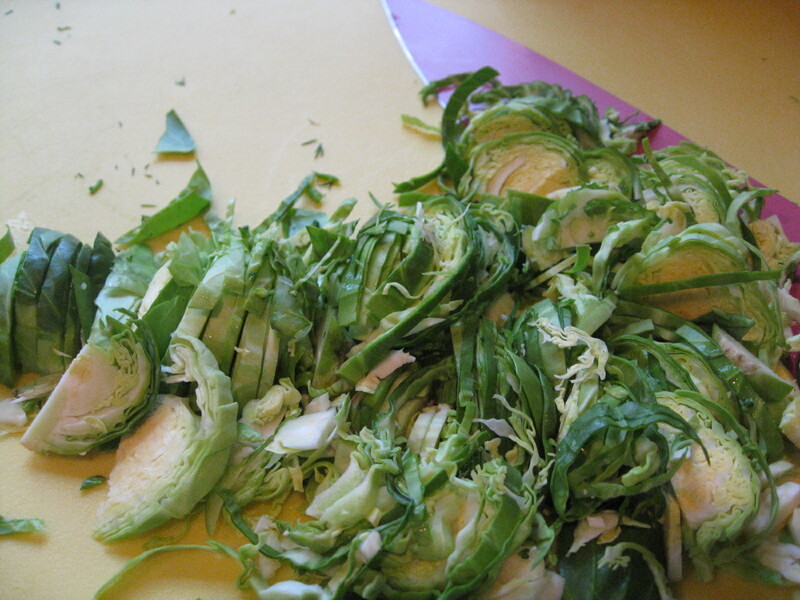 Chop Brussels sprouts into shreds or put into Cuisinart. 16.) 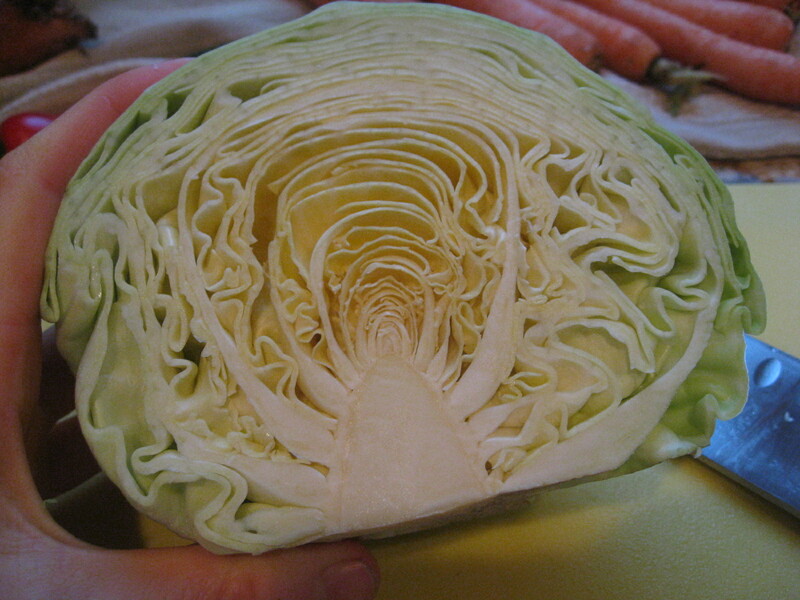 My general measurements are 2 TBS of sea salt for 1 medium head of cabbage. It is just right for me but play around with the salt to match your preference. 18.) Squeeze! Looks like the juices are starting to break down. 19.) 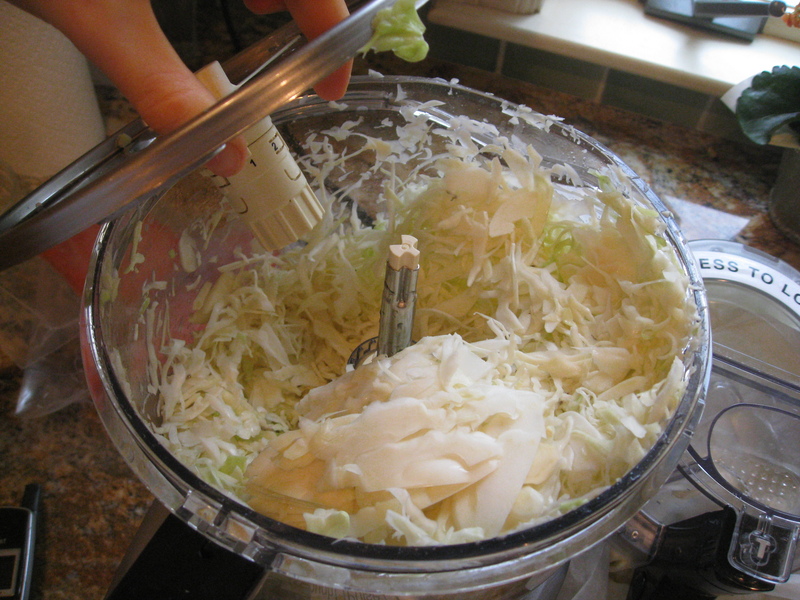 The more juice the better, and the more you break down the cell walls of the cabbage the quicker it will ferment too. 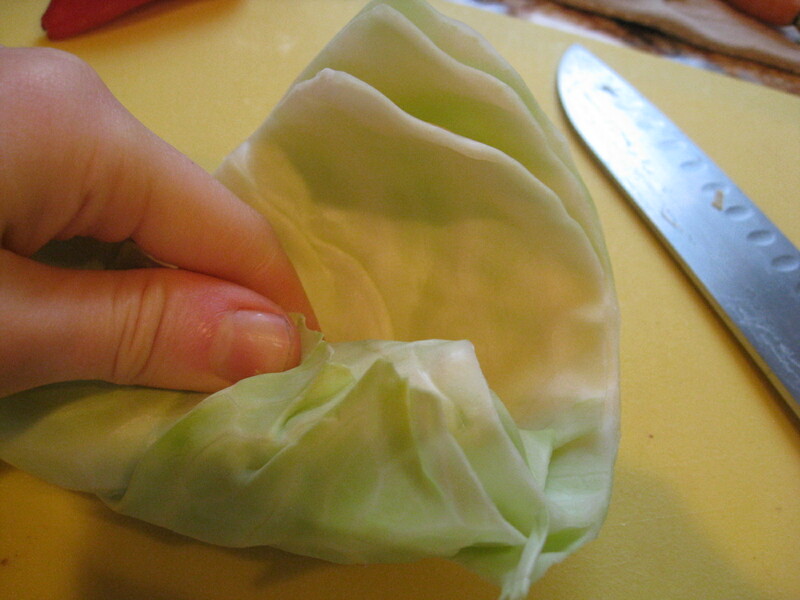 Once the cabbage is translucent and flimsy you know it is done. 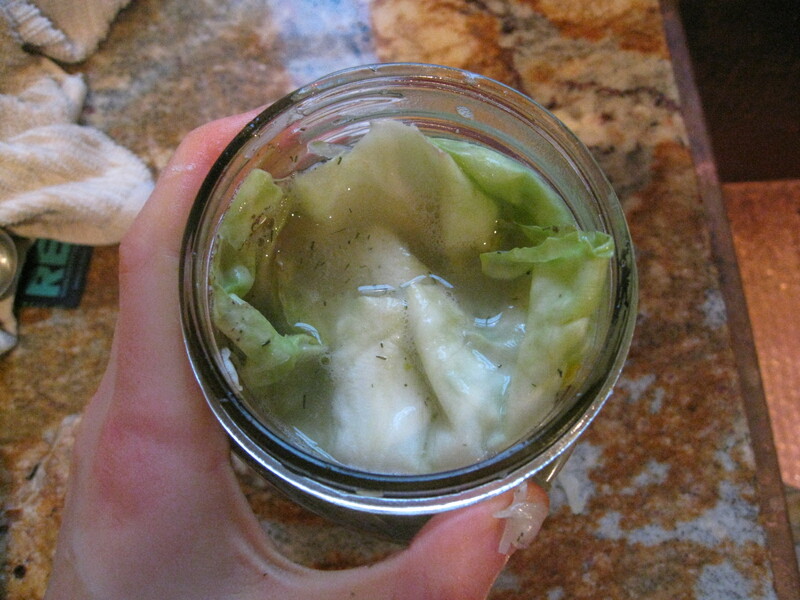 20) Pack into jars, leave about 1 nice from the top to let the cabbage have room to expand as it ferments. I always put a cabbage leaf on top, to keep out the potential mold from getting in the good stuff. Once it is fermented, you just peel of the top and dig in! 21.) Important step! 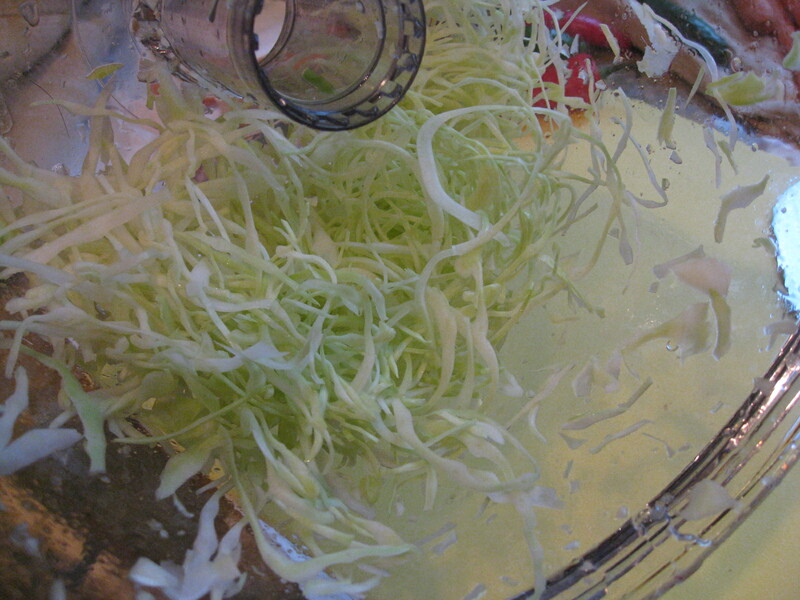 press down on the cabbage until there is juice that submerges everything! 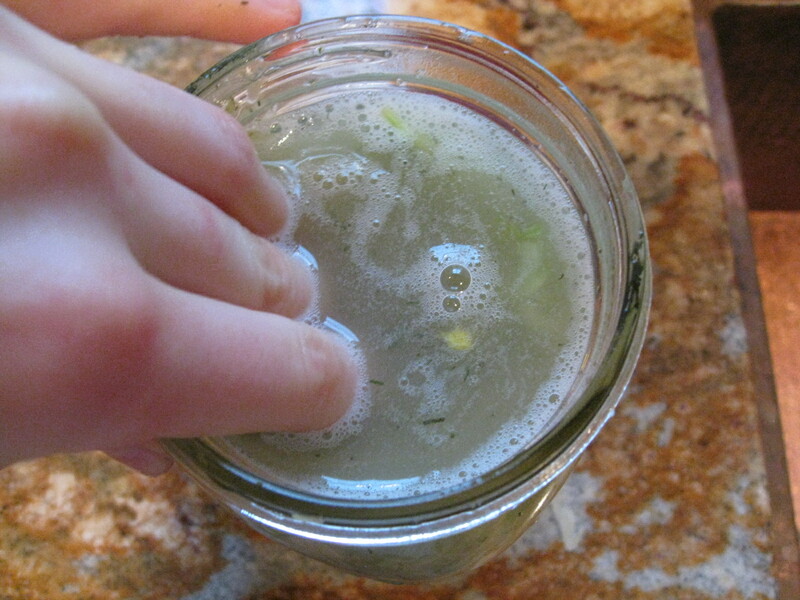 you need this juice to keep mold from growing and to keep the kraut moist. You can always add more water onto if necessary. 22.) this is what it looks like all ready for the lid. 23.) screw the lid on just until you feel it stop. don’t force a tight seal, it should be light. 25.) Here are all the fermented veggies I made. from the left top: Kimchi, spicy kimchi, caraway seed kraut. from the bottom left: sauerkraut, dill Brussels sprout kraut, dulse kraut, beet/carrot/red cabbage. 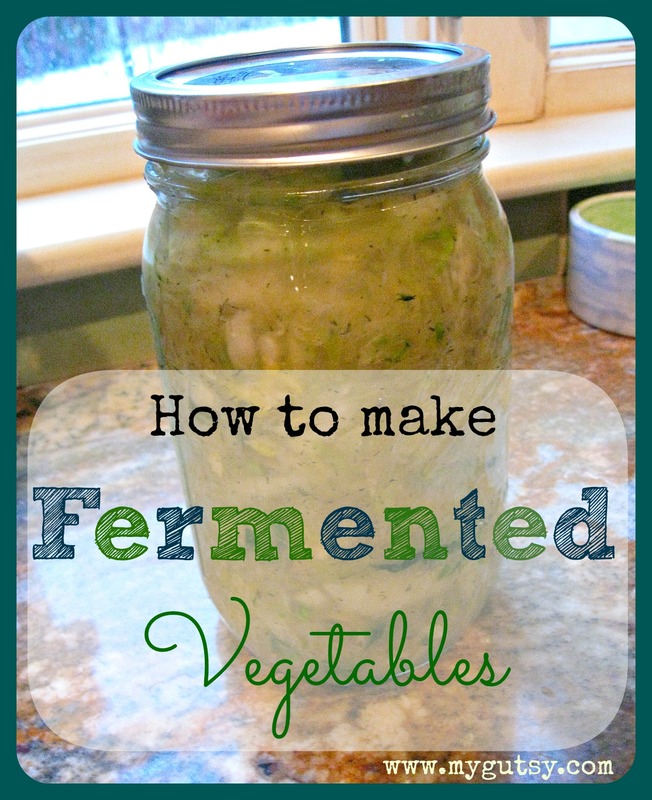 I LOVE to get creative with my fermented veggies. 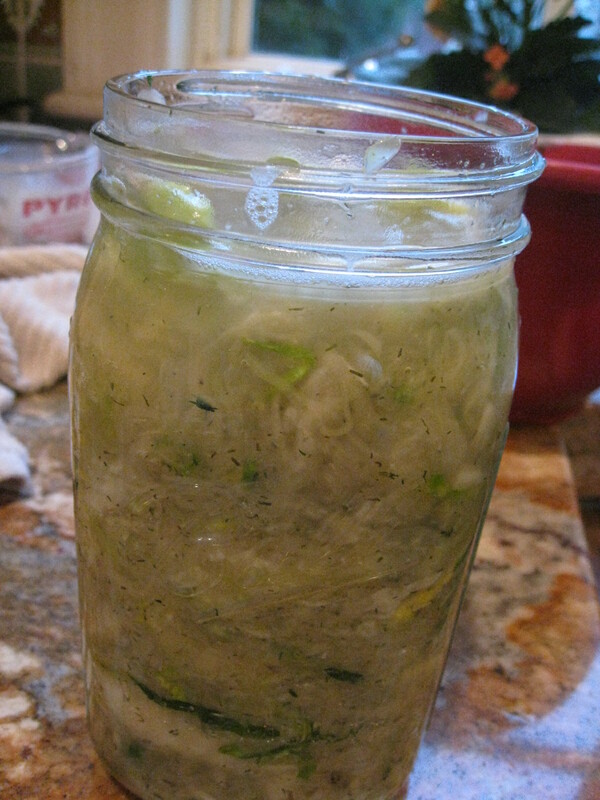 I also just made fermented cauliflower, green beans, carrots, asparagus, red fennel kraut (also my favorite), celery seed kraut, green onion kraut, garlic kale kraut, ginger, and fennel seed. I will post more recipes..which ones would you like to see? If you want a quick easy way to get fermented veggies in your diet and can’t find any at your store, try my favorites! OH! these look wonderful!! 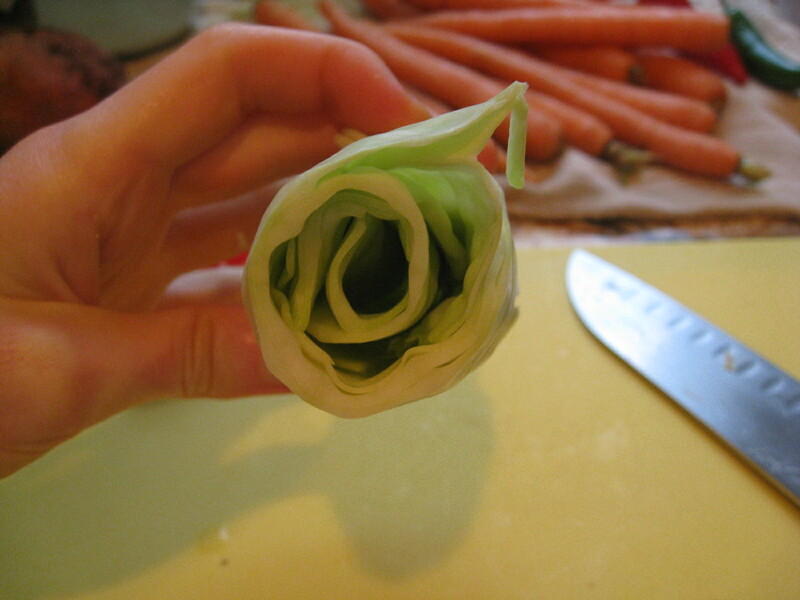 I like your tip about rolling the cabbage to get longer shreds. I would love to see your recipes for Red fennel kraut and beet/carrot/red cabbage!! Caroline, you might enjoy joining the Facebook “Wild Fermentation” group. 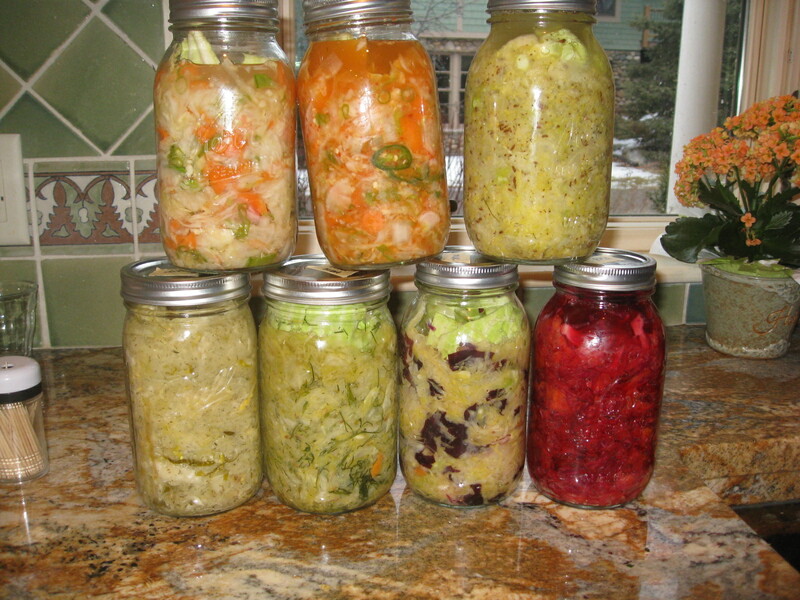 You can get lots of help on recipes and methods, including how to do crock style ferments from many fermenting veterans. If you do not wash your veges, you do not need a starter culture. Jump starting the ferment actually causes them to skip important parts of the process. The bacteria do not develop to the extent that they would normally. 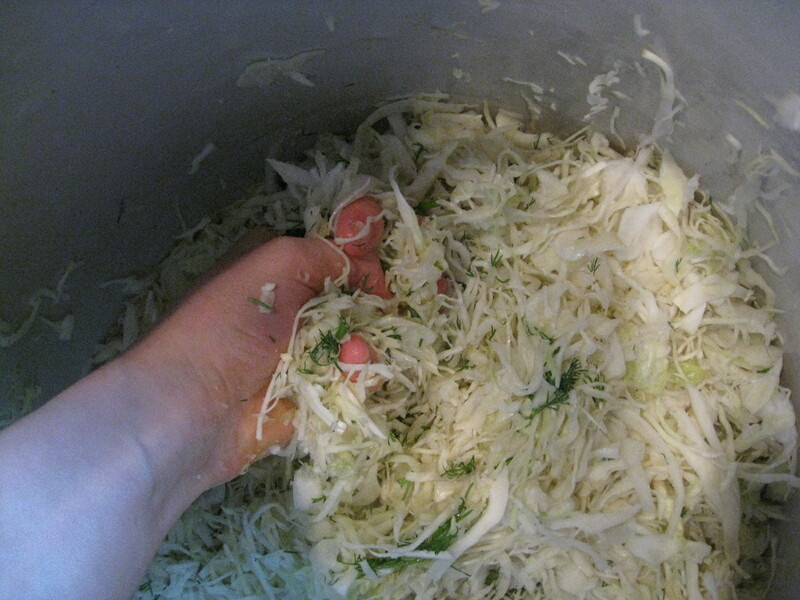 Reading your how-to steps makes me feel like I could actually do my own fermented veggies. Thanks! Could you post your Kimchi recipe please? The step by step recipe pictures are wonderful!! 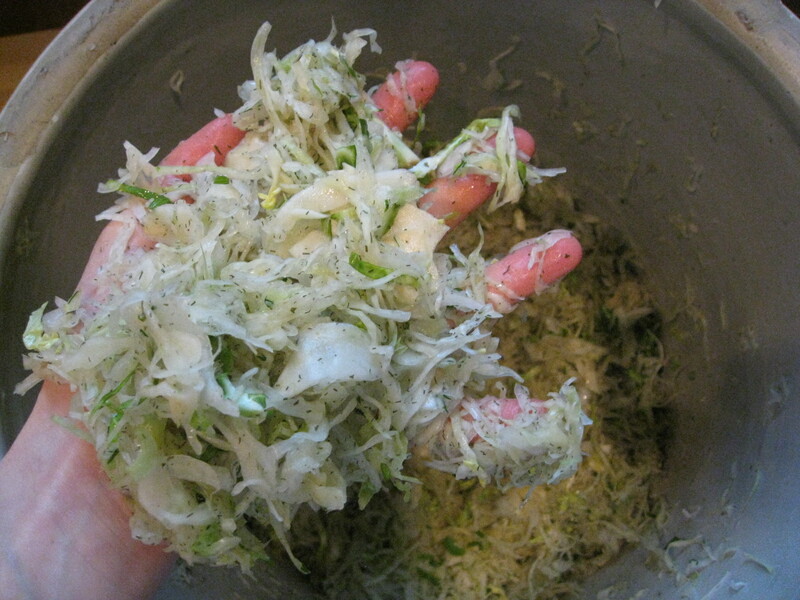 Caroline, I made your dill brussel sauerkraut last week.. I had it on top of my cupboards covered with a cloth.. I just got it down and the veggies are no longer all under the brine/liquid. Is this normal and ok? I only lightly closed the lids on the canning jars since. It tasted fine to me but this is my first batch. I’ve read though that the veggies are supposed to stay submerged in the liquid.. Just wondering your thoughts. Thanks! 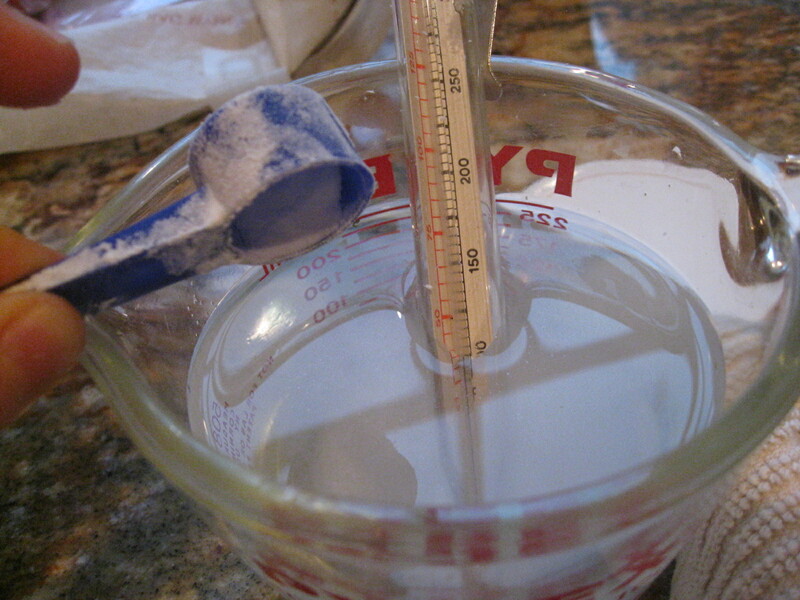 I sometimes add water on top if there is no brine left. 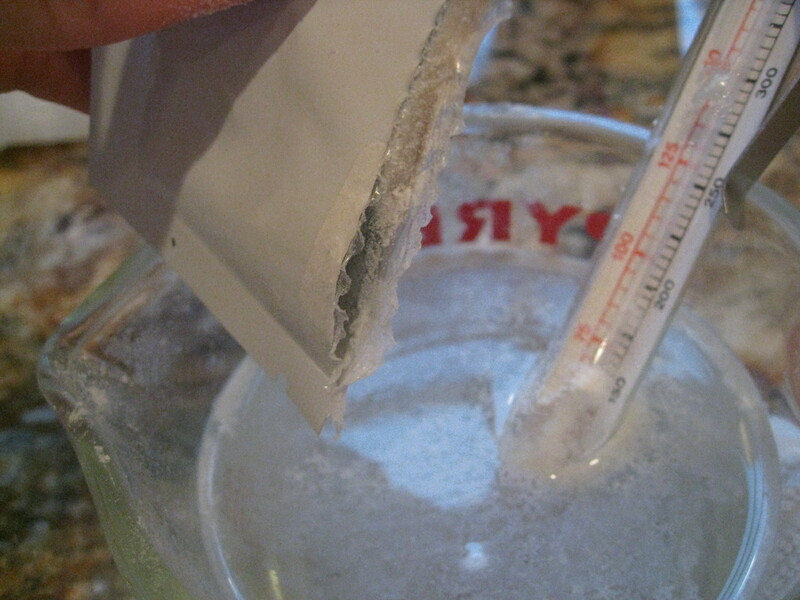 I also put the lids on lightly so the liquid does not evaporate like that. we use an untreated oak stair way post cut in half for easy handling and dipped in boiling water for a few minutes before each use….works like a charm. We also discovered restaurant supply 5 gallon lidded NSF tubs, and drill a hole in the lid and fit with a beer making valve for fermenting. 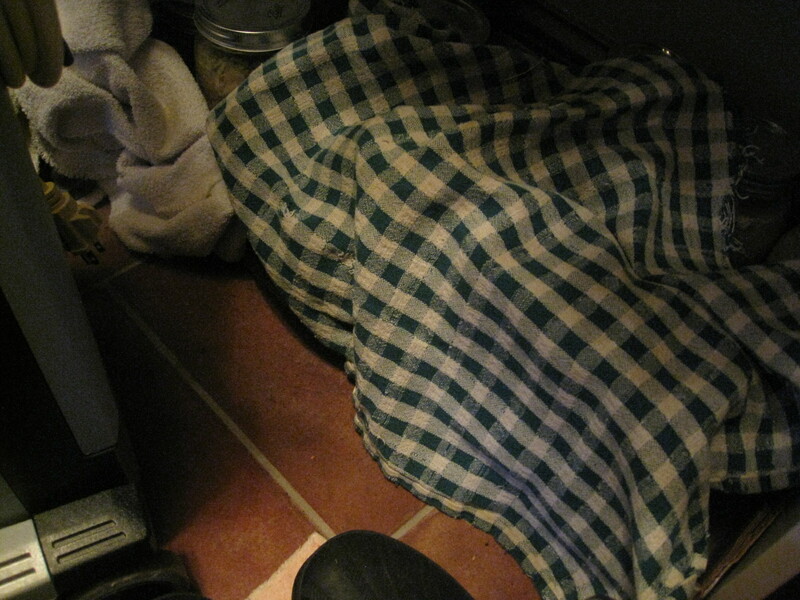 This negates all odors and keeps the mix at optimal gas production during fermentation. Also super easy to clean and store.